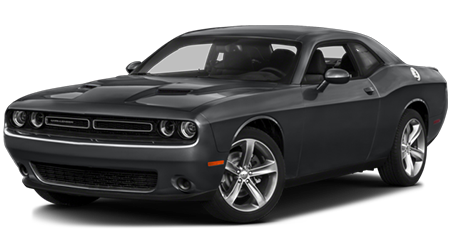 If you want a sports car with iconic American DNA, scorching powertrain options, retro good looks, and advanced modern technology, then the 2016 Dodge Challenger is for you! You can find the new Dodge Challenger - and the rest of the amazing Chrysler, Dodge, Jeep, and Ram lineups - at Greenville Chrysler. We are one of TX's premier Chrysler Dodge Jeep Ram dealership serving Rockwall, Commerce, Bonham, Paris, Sulphur Springs, and Tyler and the surrounding areas from our location in Greenville. Stop dreaming and start living your best life on the road in a Dodge Challenger from your friends here at Greenville Chrysler. The 2016 Dodge Challenger is an icon reborn for the new era, and though the Ford Mustang brings some of the same old-school track spirit to the battle, the Challenger is a tough competitor through and through! The 2016 Dodge Challenger comes blazing onto the field with four amazing engines available that allow shoppers to choose the perfect balance between performance and efficiency. Under the hood of the 2016 Challenger you can find a 3.6-liter Pentastar V6 with 305 horsepower and 268 pound-feet of torque that can earn up to 30 miles per gallon on the highway. There is also a 5.7-liter HEMI V8 that delivers 375 horsepower and 410 pound-feet of torque and features a Fuel Saver technology for greater cruising efficiency. The next powertrain available is a 6.4-liter HEMI V8 providing Best-in-Class 485 horsepower and 475 pound-feet of torque that can reach a top speed of 182 miles per hour. The top-of-the-line supercharged 6.2-liter HEMI SRT Hellcat V8 makes a face-melting 707 horsepower and 650 pound-feet of torque. 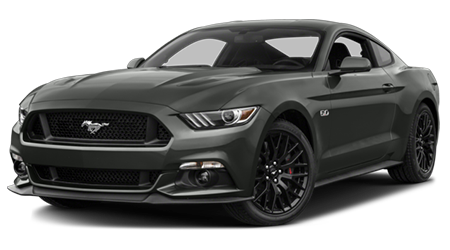 In the Ford Mustang, you also have a choice of four engines; a 2.3-liter turbo four-cylinder with 310 horsepower and 320 pound-feet of torque, a 3.7-liter V6 with 300 horsepower and 280 pound-feet of torque, a 5.0-liter V8 with 435 horsepower, and a 5.2-liter flat plane crank V8 with 526 horsepower and 429 pound-feet of torque in the ultra-performance Shelby GT350 model. The 2016 Dodge Challenger's engines offer more horsepower and torque overall than the engines in the Ford Mustang. Not to mention, the SRT Hellcat Challenger is 181 horsepower more powerful than the Mustang Shelby GT350 - and who can say no to that many more horses under the hood? For a sports car, the 2016 Dodge Challenger is actually quite spacious. The total passenger volume of the cabin measures in at 93.9 cubic feet, while the Ford Mustang offers only 84.5 cubic feet of passenger volume. The Dodge Challenger's front seats provide more head room, shoulder room, and hip room than the Ford Mustang, and in the rear seats of the Challenger you will find more head room, shoulder room, hip room, and leg room than you will in the Mustang. Stretch out in style in the cabin of the 2016 Dodge Challenger. The Dodge Challenger also has a larger trunk, with 16.2 cubic feet of trunk volume compared to the Mustang's 13.5 cubic feet of total cargo volume. You will be able to load up the 2016 Challenger for a weekend away without a hassle, whether you have a full car or not. You can head over to Greenville Chrysler right now and explore a stunning and truly thrilling 2016 Dodge Challenger. This amazing sports car is full to the brim with authentic American racing DNA and packed full of amazing features and strong powertrains that will delight drivers from all over Rockwall, Commerce, Bonham, Paris, Sulphur Springs, and Tyler. Head to our Chrysler Dodge Jeep Ram dealership today, located at 5401 Interstate Highway 30 in Greenville.